After fighting with the Authors Guild for eight long years, Google has finally gotten the green light to go ahead with Google Books. The massive book-scanning project was Google’s attempt to scan and digitally capture around 30 million titles and to allow people to view extracts from these books for free. Now thanks to an American court’s recent ruling, Google can continue with Google Books without legal repercussions. 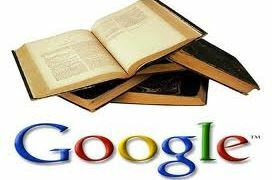 Chin determined that what Google was doing, and wants to do, amounted to “fair use” and was protected by the Fair Use Act, since no books are being sold and only portions of the books are being displayed. Because of this no authors are being deprived of actual income. Authors and users alike are wondering what changed to cause Chin to make the decision. During the eight years of litigation, Chin had seemed skeptical of Google Books’ project. Rulings he made in 2010 ended a three-part deal between the Guild, publishers, and Google. That deal breakdown ended the creation of a market for the scanned books. He also agreed to let the litigation proceed as a class action suit before the Second Circuit Appeals court returned it to him and forced a ruling. Apparently, rule he has… and in Google’s favor. Huzzah. The Authors Guild intends to appeal the decision. Did anyone expect anything less?